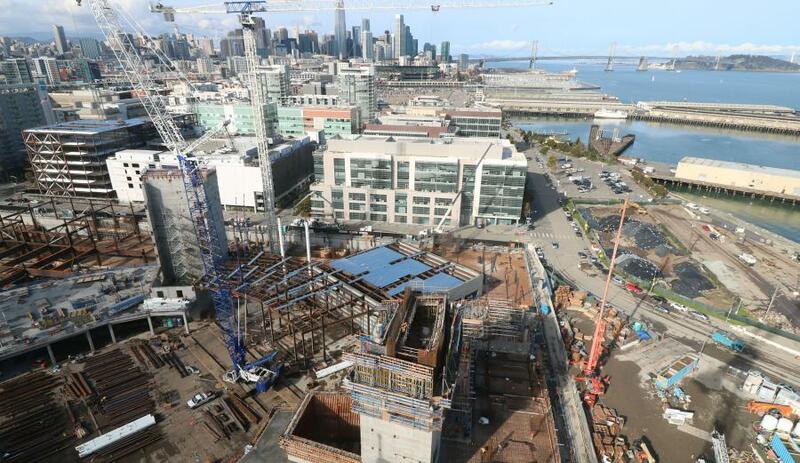 Scheduled to open in time for the 2019-20 NBA season, a sports and entertainment complex that will host Golden State Warriors basketball will be the first of its kind when it debuts in San Francisco's Mission Bay neighborhood. The 18,000-seat Chase Center will anchor a district of 11 acres of restaurants, cafes, offices, public plazas and other amenities, along with a new five-and-a half-acre public waterfront park. “San Francisco is currently the only city of the top 25 American cities by population without an indoor arena of this size,” said Gloria Chan, spokesperson of the San Francisco Office of Economic and Workforce Development. Two independent economic consultants have estimated that the overall project, including the related office, retail and parking, will generate more than $700 million in annual economic activity, including an estimated one-time payment of $29 million and $14.1 million per year in annual tax receipts for the city and county. This will, in return, provide funding for key services for residents. Chan noted that the project has been in the works for quite some time. “The construction of Chase Center is the culmination of years of detailed planning and several decades of visioning. The 300-400 daily construction workers are creating an 18,050-seat venue, office space for over 2,700 estimated daily workers and a neighborhood-serving retail that will activate this former parking lot throughout the day and evening. As part of this construction, the city of San Francisco is working with the project team to ensure the project brings job and training opportunities for economically disadvantaged San Francisco residents in underserved communities. The Chase Center is the first arena ever built on private land that will also be financed privately, based on a partnership with JPMorgan Chase. No taxpayer dollars will be used to build it. “In an era where some cities spend hundreds of millions of public dollars to build these facilities, Chase Center is a testament to the Warriors' commitment to Mission Bay, to San Francisco and to the entire Bay Area,” said Chan. The project, a Mortenson/Clark Construction joint venture, calls for 580,000 sq. ft. of office/lab space; 100,000 sq. ft. of retail space; a 35,000 sq.-ft. public plaza; accessibility to multiple modes of public transportation; and more than 900 parking spaces. It also has been designed to achieve LEED-Gold certification, with sustainability playing a major role in the design process. In November 2017, Chase Center celebrated a major milestone by beginning steel erection for the arena and completing more than 300 days of construction. There will be more than 9,000 tons of structural steel in the space, with all the steel being erected by cranes from within the future arena. During January 2018, crews focused on placement of concrete in large structural elements, with extended work hours from midnight to 7:00 a.m.
Construction includes more than 100,000 cu. yds. 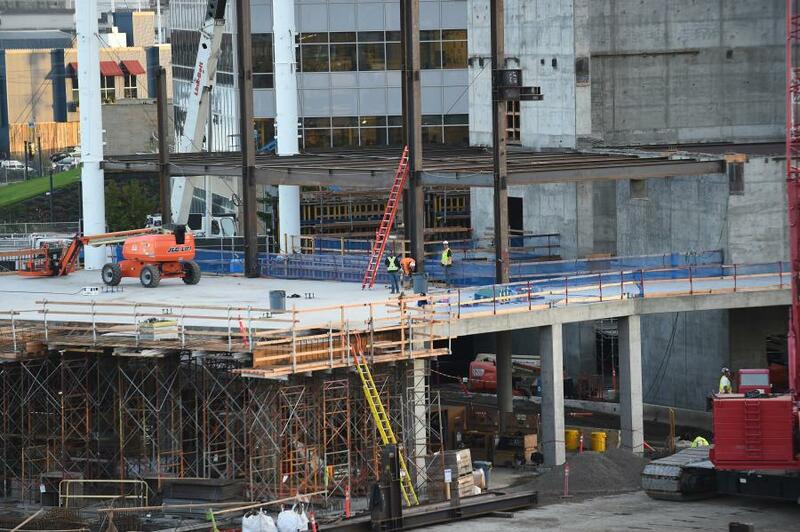 of structural cast-in-place concrete at Chase Center and the surrounding area. The structural concrete in the arena forms the entire structure up to the mezzanine level and continues with four core elements rising to the lower roof, nearly 110 ft. above the surrounding sidewalks. 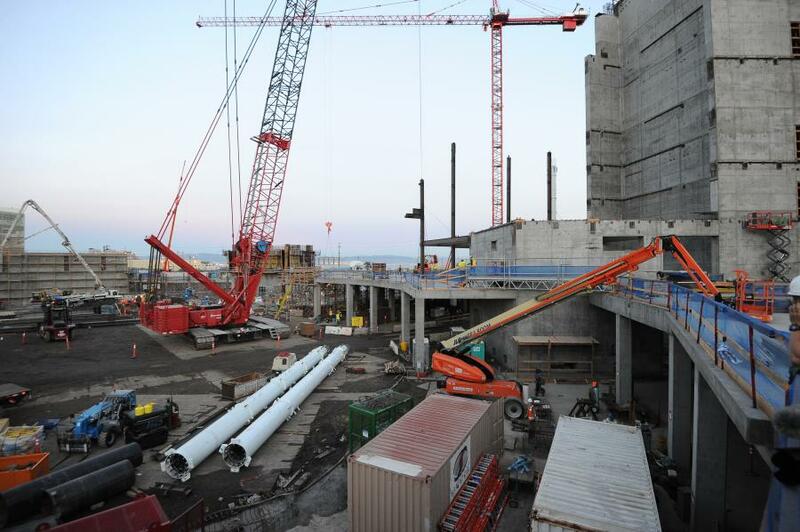 The cores are the primary lateral structural elements of Chase Center and the structural steel completes the arena structure between the cores and over the roof. In addition, because the site has been undeveloped and empty for decades, no local residents were displaced in order to build it. Mission Bay is currently home to a medical, research and academic campus for the University of California San Francisco, with the new arena serving as a significant investment in the long-forgotten community. “It's going to be a real moment of discovery for the whole city, a new neighborhood that everyone can enjoy,” said Rick Welts, president and chief operating officer of the Warriors, who spent 17 years in New York as an executive in the NBA's league offices. “It's an amazing array of amenities that will bring entertainment, quality of life and jobs to the surrounding area. We're building not only the arena, but two office towers and 120,000 square feet of restaurant and retail space, and a plaza the size of Rockefeller Center or Union Square that serves as the main entrance. A little more than a year ago, the defending NBA champions and GSW Arena LLC took part in the official groundbreaking ceremony at the site of the future structure, which continues to make headlines. Warriors owner and CEO Joe Lacob joined Welts, co-owner Peter Guber, head coach Steve Kerr and all-star forward Kevin Durant for the celebration, along with San Francisco Mayor Edwin Lee and Chase CEO of consumer banking Thasunda Duckett. Chase Center will be located on a major Muni Metro rail line with easy links to BART and other transit options. 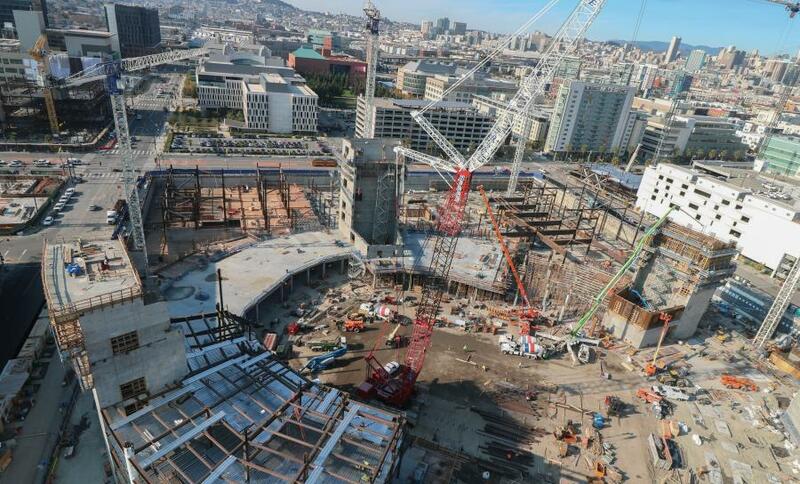 Chase Center and the surrounding area is now 40 percent complete. Since breaking ground, crews have made significant progress on pile foundations, with more than 1,300 piles installed and a total length of more than 21 miles. Six of those miles are in bedrock, with more than 30,000 cu. yds. of structural concrete and grout in piles. In addition, more than 1,300 tons of structural steel have been installed. There are approximately 450 workers/day on-site, with 8,000 anticipated unique workers over the course of the project and 1,700 to date. 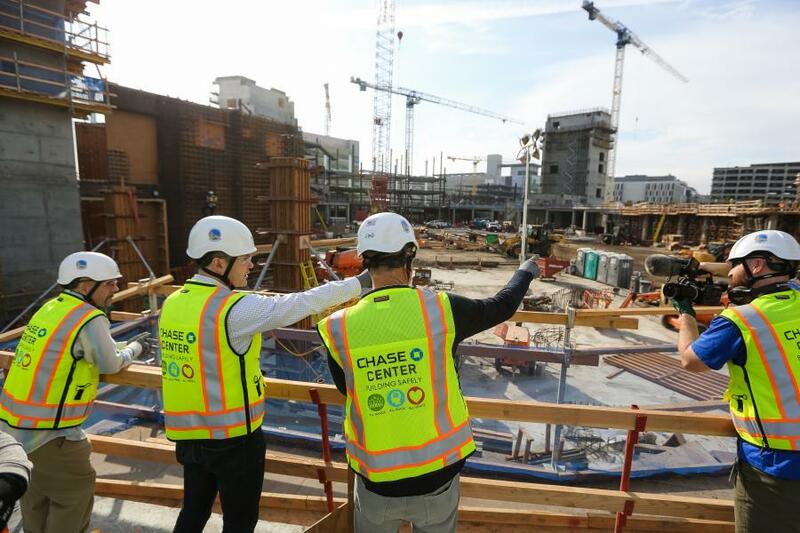 Roughly 1,300 workers are anticipated on site at some point, with over 4,000 individuals contributing to construction of Chase Center development. The team's highly anticipated return to San Francisco is long overdue for many supporters. The Warriors departed for Oakland in the early 1970s, but about half the season ticket holders currently come from each side of San Francisco Bay. Because thousands have paid to appear on a waiting list for season tickets, the team expects to keep selling out its games, as it has for every home matchup for the past five years. Fans who live or work in the vicinity of the financial district will actually be able to walk to Chase Center. A new subway line under construction will link the arena to downtown hotels and convention centers, as well as subway and commuter rail lines serving the entire Bay Area.